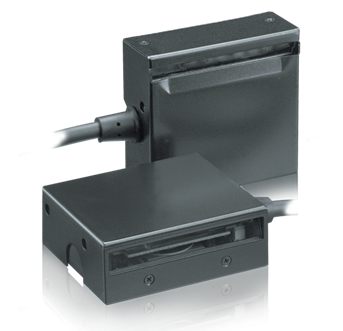 This stationary fixed-mount barcode scanner equipped with a compact housing with 2 different mounting options is available in 2 models. This makes it easy to incorporate the scanner into your design. The NFT7175 offers a wide variety of configurable options for easy integration in your business process. 100% solid state CCD technology with no wearing parts assures high performance, long life and high reliability. The rugged steel enclosure protects the optics and electronics from dirt and other environmental hazards.